Let us begin our inner experience! 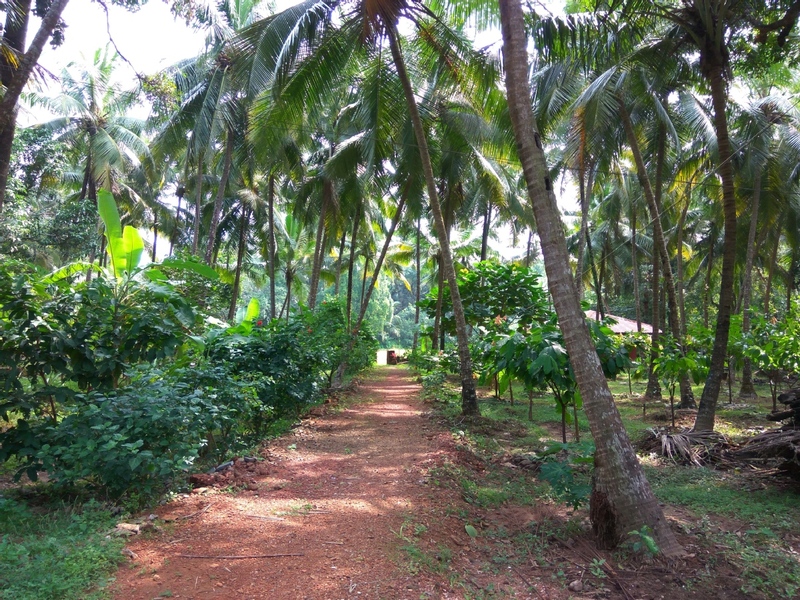 We are an ashram, spiritual retreat centre and yoga-meditation school located on 2½ acres of beautiful coconut grove. 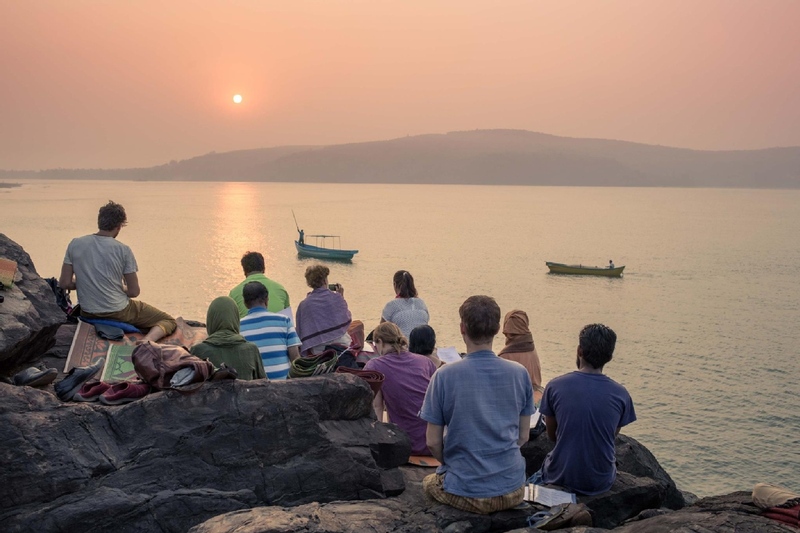 The ashram is housed in a gorgeous century-old heritage house and is located in the village of Bankikodla, 5km from Gokarna, an ancient temple and Shiva pilgrimage town with scores of beautiful beaches, forested hills and coastal farming. We make our daily duties a practice of self awareness. A Karma Yogi works with full attention on his/her work, and detaches from the outcome of the work. Simply the action of work is in itself a meditation. In this way we can grow deeper in our understanding of ourselves and our minds, while also learning new skills and developing teamwork and self-awareness. This includes daily household/housekeeping activities, kitchen prep, work on the organic farm, small projects around the retreat center and larger community projects. Below you will find a list of ongoing projects available, but we are open to you working on whatever inspires you. We are a small community living and progressing together in our spiritual pursuits. 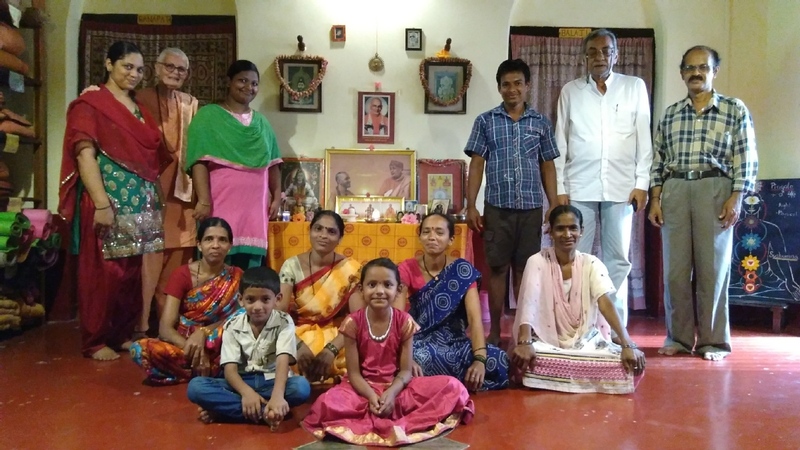 We are open to people who are interested in volunteering and sharing their skills for the benefit of all, SHANKAR PRASAD welcomes to SEVA SANGHA projects. Maximum 3 volunteers at the same time in the ashram, all year round, and only for long-term periods of minimum 3 months. 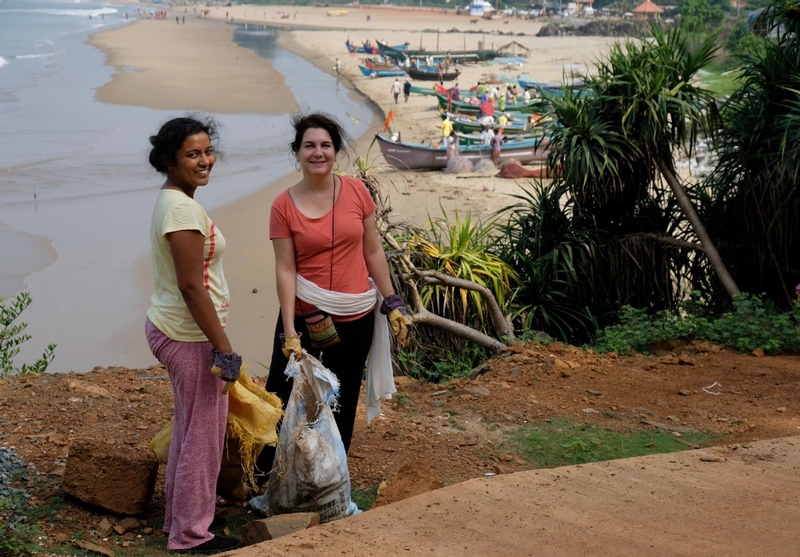 We have been running regular clean-ups of local beaches and temples. Now our aim is to make our village of Bankikodla a model rural village for waste management. We welcome volunteers with technical expertise and in education to increase awareness of the impact of waste on nature and the alternatives available to ‘make money out of waste’. A piece of land has been donated for a dog sterilization clinic in order to curb the dog population explosion. We need someone to start it and volunteers to help run it, as well as funds to build it. We also welcome volunteers and vets to keep it running. 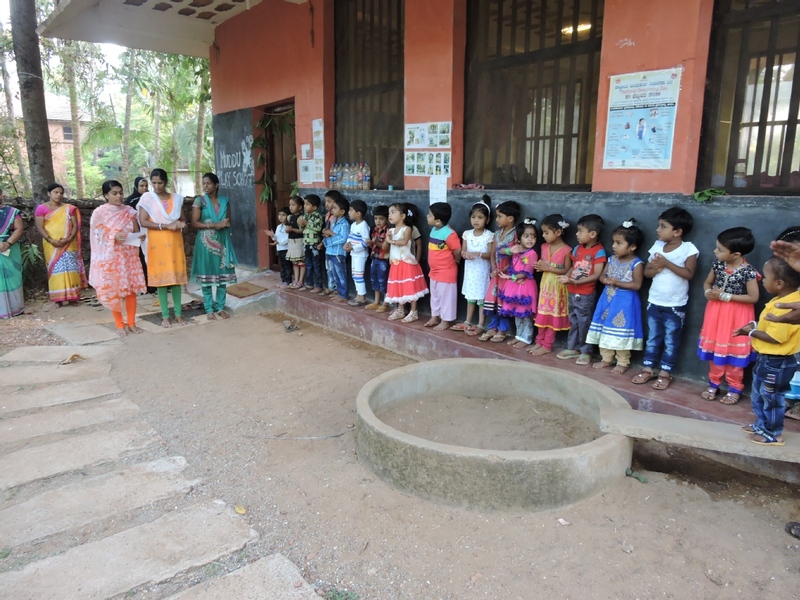 Skills required: teaching English, games, art & crafts, dance, theater, singing, yoga, beach swimming, waste management education. 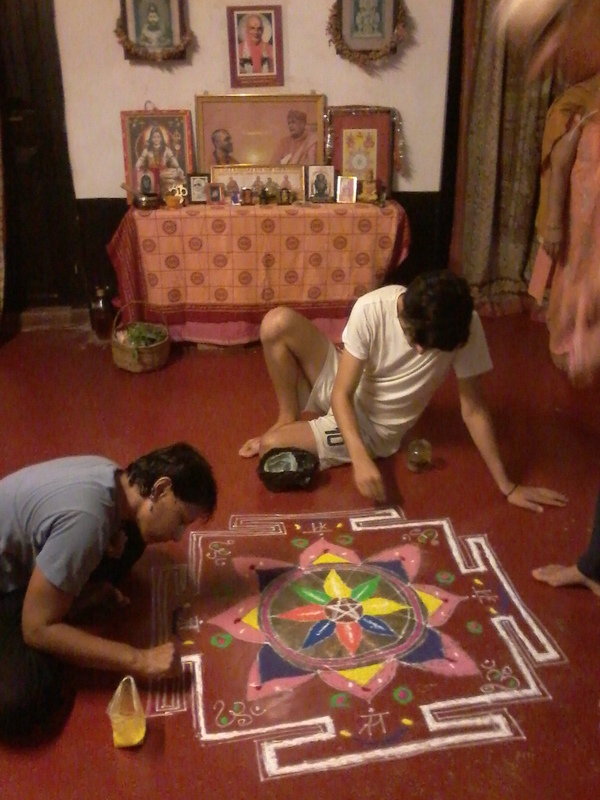 Minimum 3 months at the cost of RS 200 a day, providing that volunteers are a good match for the Ashram. Accommodation varies depending on availability. Volunteers stay in either a dormitory or a double room with a common bathroom and showers. Each individual is provided with a sleeping pad, pillow, and a sheet. All volunteers receive 3 vegetarian meals per day, plus tea/coffee/herbal drinks and clean fresh spring water. 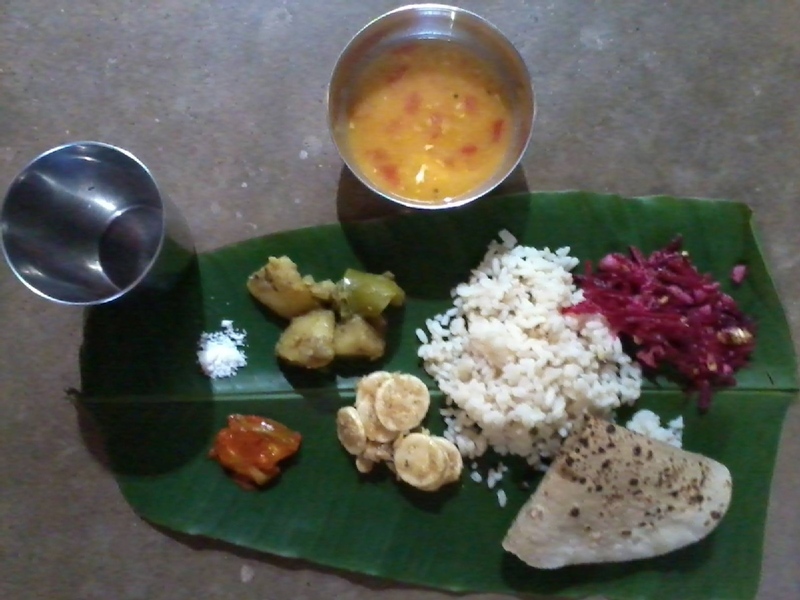 Meals are homemade by our wonderful Indian cook Gulabi and Ratna, who make traditional, local style food, wholesome and colorful. 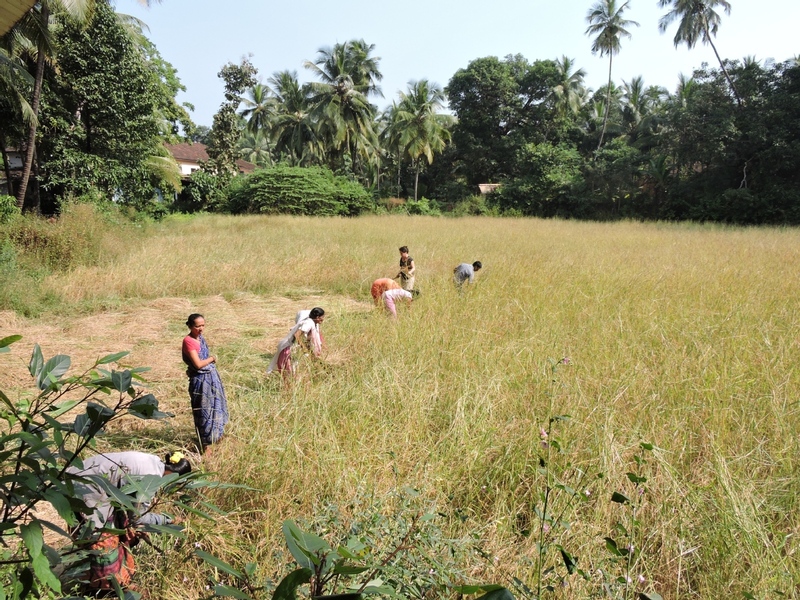 We grow our own rice and peanuts on our fully organic farm. What is not grown on our land is bought from local farmers in the village and neighboring town. We ask sevaks (volunteers) to work for 5-6 hours per day if possible (not including clearing up after meals) and a contribution of only RS 200 per day which covers the daily meals and the additional ashram activities. If volunteers decide to cut short their stay before 3 months, they are requested to pay the normal guest donation of only RS 800 per day.  Martine Sautet - Very good place to find your inner space ! "I came for a week and stayed 2 months. This ashram is a small one in a very beautiful countryside village not so far from beach and Gokarna. 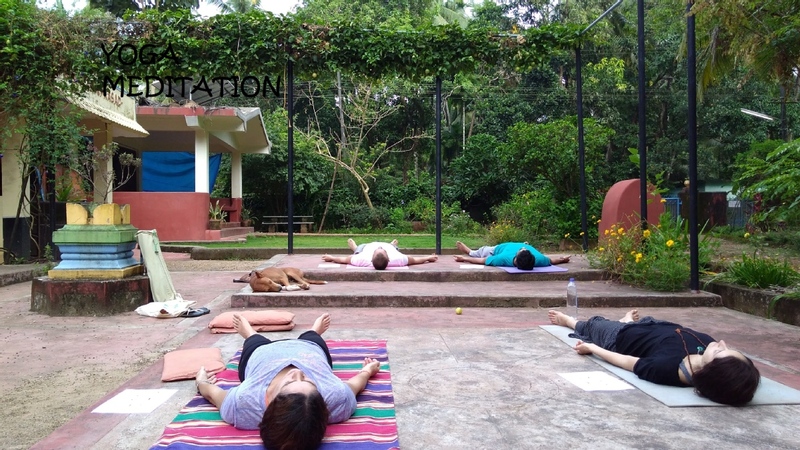 A very peaceful place to find yourself with meditation, yogas, mantras and sevak in a heartfull atmosphere, a very good place to share life with others as travelers, yogis and population. I'll come back soon... Love and oms." 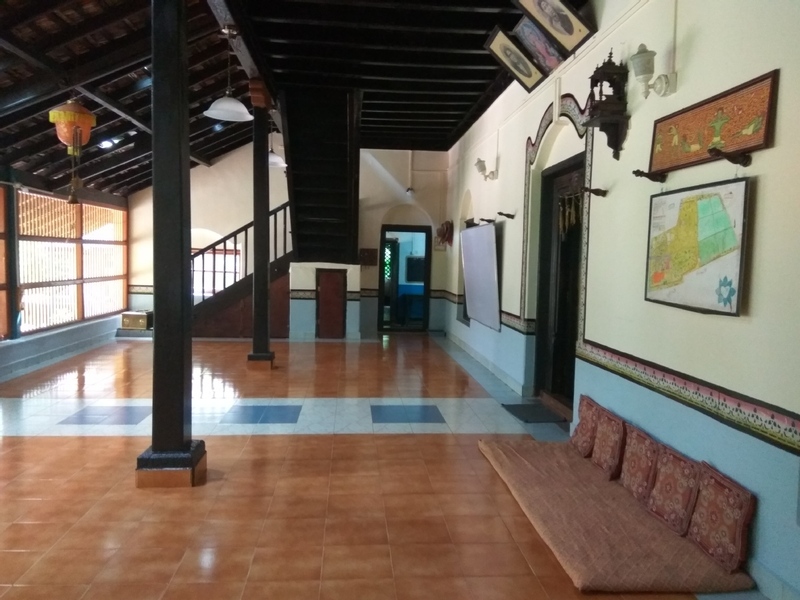 Bankikodla Village, Hannehalli, Taluka Kumta, Karnataka, 581319, India, Gokarna, India. 81% response rate , 47 hour(s) response time. 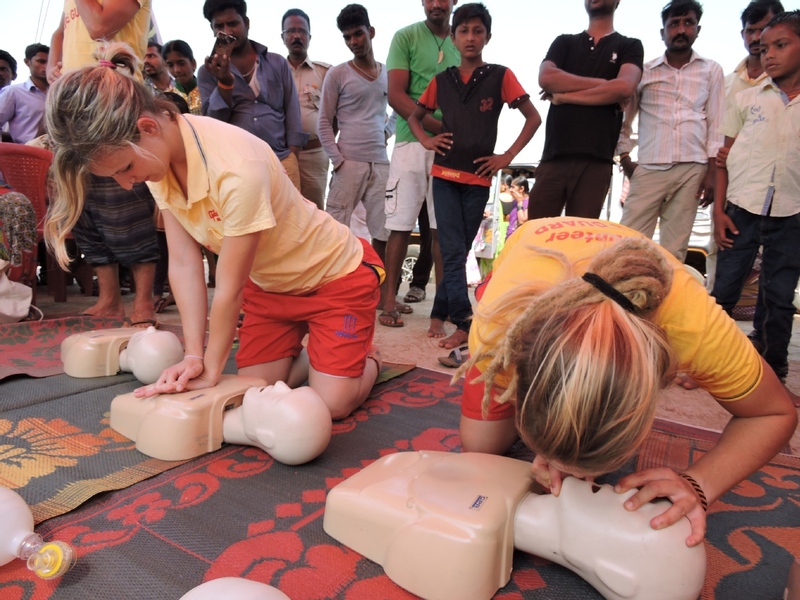 We ask that volunteers be involved in the ashram life and be an active part of our community. Our ashram holds an open, loving atmosphere of diverse individuals who function much like a spiritual family. We eat, chant, meditate, sing, work, and play together. We seek to preserve these vibrations, and humbly ask that you be open and willing to share in the daily life of the ashram with us. If you are not at all interested in spiritual life or spiritual practices, then this may not be the right fit for you. However, previous yoga and meditation experience is not necessary, as long as you come with an open mind and heart. 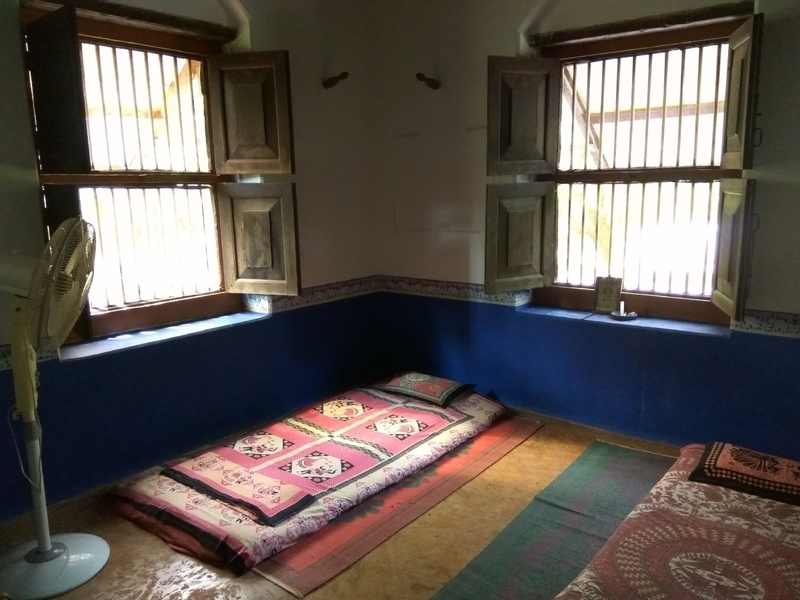 This little piece of paradise is a relaxing and beautiful place to do your own sadhana (spiritual practices) and live in a community of people who are dedicated to living a simple life of service. Come be a part of our family and enjoy the experience of living in a spiritual community. We at Shankar Prasad would love to hear from you!